The third-longest Idaho legislative session in history is now in the books, and lawmakers are going home with some huge matters unresolved. 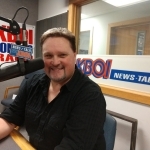 The Idaho Press is reporting one issue that could come back to bite not just lawmakers, but the Executive branch as well, is the failure to pass Senate Bill 12-05, he so-called “going home bill”. It would have made all of the administrative rules made by executive branch agencies since the last session official…but what happens next is unclear. On Wednesday, House Majority Leader Mike Moyle of Star amended 12-05, saying as the law is now, the only people who have to approve administrative rules for them to have the force of law is the Governor, and one committee chairman in either body. Moyle’s amendment would have changed it to both houses having to approve of admin rules, but it was sent to a House committee to die.